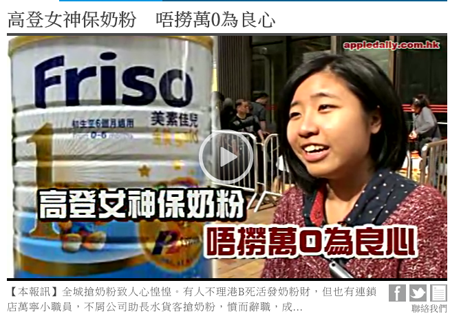 The very public resignation of a Mannings shop assistant in Hong Kong over what she saw as flagrant profiteering by Chinese traders buying infant milk-powder products in Hong Kong and reselling them in mainland China, resulting in local shortages, has led to indignation online and in the mainstream media. The incident is the latest in a series of high-profile incidents involving retailers that have inflamed already volatile Hong Kong-China relations. While the Hong Kong government moved swiftly to defuse the situation by limiting sales to two cans or 1.8 kg of formula, Mannings has appeared flat-footed in its response. At the time of writing the pharmacist has yet to issue a response, or at least one that wasn’t immediately withdrawn from its website. It is hardly news that aggrieved employees, customers, and others can nowadays cause immense damage to organizations by talking direct to the media or sharing their views and experiences online. Yet firms continue to suffer the ignominy of social media humiliation. Ask Dolce & Gabbana, Laneige, KitchenAid or HMV. In addition to ensuring that the appropriate business policies and processes are in place to reduce the likelihood of angry employees or customers taking their grievances public in the first place (on which, here are some thoughts for Hong Kong retailers), firms must also set about actively managing the risks inherent in social media. Many organizations continue to approach social media as an add-on, rather than as a core communications vehicle. Others see it as a one-way street to marketing fame and fortune. Disgruntled employees and customers have a different take – social media is the perfect tool for public shaming and redress. Firms that are seen to be listening and responsive are less likely to suffer at the hands of their detractors than those who appear not to understand or care. Handling awkward situations on social media in real time demands quick thinking, real sensitivity, and a structured approach to decision-making. This requires staff with good communications skills and judgement, an understanding of the full range of business issues that may be raised, and access to and the confidence of senior management. Manning the social media front-lines is a job for experienced professionals, not for juniors. Social media staffers need a clear understanding of when and how to use social media in a manner consistent with the company’s business strategy, values and culture. And they must understand how to assess and respond to whatever is thrown at them – both good and bad – all of which should be covered in a Social Media Playbook or Manual. In addition, organizations should develop a dedicated Social Media Crisis and Issues Manual and ensure that social media front-liners are properly trained in how to handle serious incidents and crises. Develop a clear policy on who does – and by implication, who does not – have access to your official social media channels, restricting usage to personnel who have had the appropriate social media training. Ban the use of social media management accounts for both professional and personal use. And regularly update your passwords to reduce the likelihood of their getting into the wrong hands, or being hijacked. Many organizations believe that it is ineffective or even impossible to respond to a problem on social media without their own branded social media channels. Neither is true. If a problem surfaces on a third-party channel/community, it is essential to respond on the offending channel itself before the issue escalates. And while it is certainly preferable to have your own social media presence during a crisis, social media does not live in isolation, so using the mainstream and trade media to communicate your point of view once an issue has worsened will very likely lead to its getting picked up in social media. Is Laneige pandering to the social media mob? Almost a year to the day since Dolce & Gabbana walked (inadvertently, one must assume) into the ongoing Hong Kong-China tensions by being seen to favour mainland Chinese customers over local Hong Kong-ers, Korean cosmetics company Laneige has managed a repeat performance. 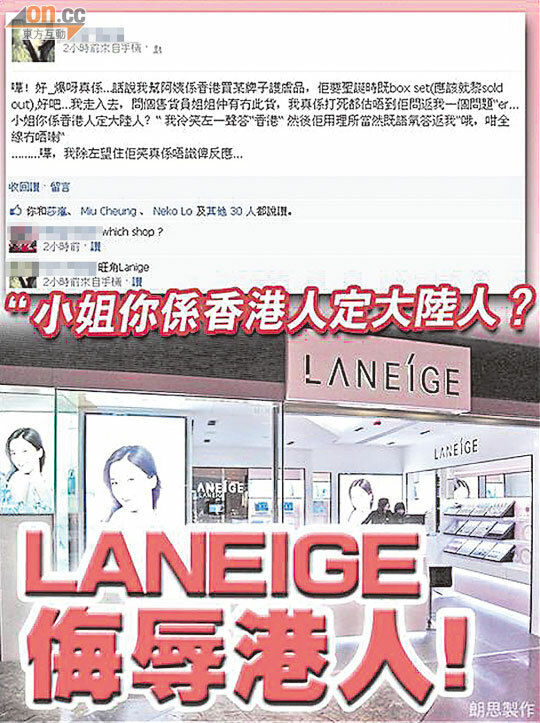 Laneige’s speedy and apparently sincere apology (a lesson for Lance Armstrong?) saved it the ignominy of D&G-style street protests. Yet the firm failed to confirm how this incident had happened ie. was this one-off customer service stupidity or a business policy accidentally leaked. Many seem to think the latter, and its Facebook page continues to be a virtual battle-ground run by its ‘fans’. 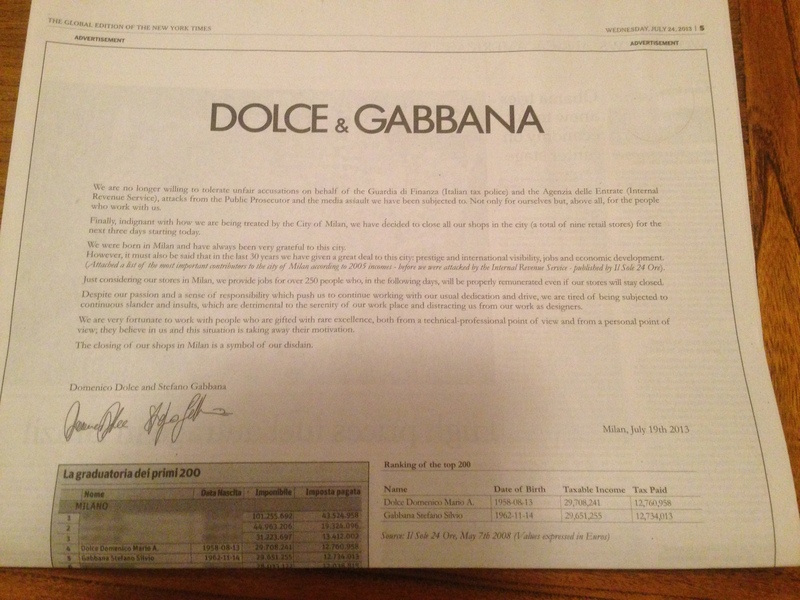 A source close to the D&G saga revealed to me that its sales in Hong Kong were barely dented by the protests, perhaps due to the high proportion of its sales to mainland Chinese visitors. It is unclear to what extent Laneige has been hit financially. In truth, while social media-initiated incidents can be ugly and tricky to manage, most peter out fairly quickly in today’s volatile and fickle environment, especially if the mob gets its apology and/or withdrawal of the campaign (eg QantasLuxury, Langham Hotel) together with some sincere and public humble pie about the lessons learnt. More important, and while two swallows don’t make a summer, it seems not too far a stretch to suggest that D&G and Laneige’s actions were not isolated incidents, pointing to a possible industry-wide issue. Hong Kong-based retailers need to realise that any policy or action seen to favour mainland Chinese will now almost certainly be outed and should be changed. Only then will the protests and social media firestorms die down.